What is FAMx Paris (May 31st and June 1 at UNESCO) and why is there a start-up challenge at this event? In its work on improving access to care, the Foundation of the French National Academy of Medicine , organizing the forum, developed bilateral partnerships with health institutions in Brazil, Russia, China, India, Mexico, Senegal, Vietnam, and Uzbekistan, prior to organizing an international forum in Paris devoted to reverse innovations for health. The first purpose of the forum FAMx Paris is thus to examine 12 reverse innovations from emerging economies and to discuss their potential adaption to developed economies, as solutions to the problems of medical deserts, exploding costs, and the need to find new roles for healthcare professionals. 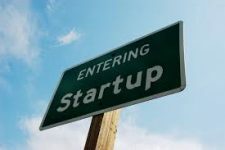 And the second purpose is the Foundation goal to provide international visibility to French start-ups whose services are adapted to emerging economies. For this second goal, the Foundation invited Doctors 2.0 & You to co-construct the start-up challenge. After the applications, and the difficult selection decisions, Doctors 2.0 & the Foundation are announcing the winners, one per day. We hope you’ll appreciate the diversity of these services. May 4 –> Let’s congratulate Carians! 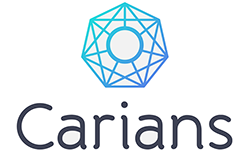 Carians is a telemedicine company that provides international tele-consultation and tele-expertise. The Tele-expertise allows real-time exchanges around complex cases among several countries of the world simultaneously. May 3 –> Let’s congratulate eVeDrug! eVeDrug offers innovative solutions combining regulatory vigilance (pharmacovigilance, evice vigilance, cosmetovigilance ) and e-Health, so that we can learn more about the side effects of medicines and other health products. eVeDrug places the patient in the center of the health system intended to protect him/her. May 2 –> Let’s congratulate BioSerenity! BioSerenity, founded in 2014, is located in the Brain and Spine Institute (ICM) in La Pitié-Salpêtrière hospital. 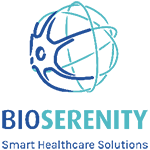 With over 90 employees, BioSerenity has quickly become a technology leader in smart medical solutions enabling long term ambulatory monitoring thanks to an integrated network of shared research labs, hospitals, universities and pharmaceutical companies. April 27 –> Let’s congratulate Télécom Santé! Télécom Santé provides digital solutions to hospitals and clinics, with a bold focus on high quality tools and continuous innovation. We support our customers as they face digital challenges in order to enhance patient service, simplify internal processes, optimize daily operations and increase cost control. April 26–> Let’s congratulate Tilak Healthcare! 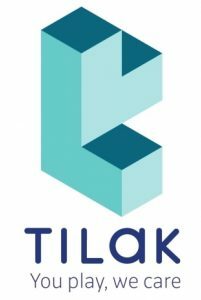 Tilak Healthcare is developing a new form of digital healthcare: prescribed mobile games used as management and rehabilitation tools for chronic diseases. Odysight – Tilak’s first medical game – will help monitor patients affected by degenerative eye diseases, such as age related macular degeneration (AMD). You Play, We Care. April 25–> Let’s congratulate FeetMe! Loss of mobility is a growing unmet medical need, 100 million people are suffering from mobility disorders worldwide. 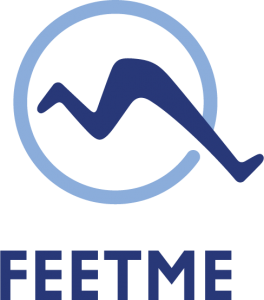 FeetMe has a mission to simplify and accelerate therapeutic and rehabilitation evaluations through continuous real life mobility assessment. FeetMe Monitor is a connected insole and an associated mobile software that collects and analyze gait spatio-temporal parameters and variability in real life thanks to embedded smart algorithms and wireless connection. April 24–> Let’s congratulate Deeplink Medical! Deeplink Medical is specialized in telemedicine and tele-expertise software. Our multidisciplinary teams meet technical, medical and operational needs to develop and deploy innovative solutions that address users’ expectations. Together let’s transform the digital care pathway. April 23–> Let’s congratulate Therapanacea! Therapanacea revolutionizes cancer treatment by bringing precision treatment to the radiotherapy treatment chain with AI technologies. With its intelligent software suite, tedious key and manual steps of the treatment are automatized and brought to the best available level of medical expertise for improved cancer care, significantly reducing side effects and metastases. April 20–> Let’s congratulate Nomadeec! Nomadeec is the leading emergency mobile telemedicine platform, edited by Exelus. The solution helps Healthcare professionals to make better and faster medical decisions. At FAMx, Nomadeec demonstrates its next generation platform using Microsoft HoloLens, unveiling the future of telemedicine. For the first time, field practitioners can apply mixed-reality technology to patient management and videoconferencing, while focusing on the care. April 19 –> Let’s congratulate Umanlife! Umanlife which means YOU MANAGE YOUR LIFE, is a personalized digital platform that allows you to track your health and your well-being in a fun way! Everyday, Umanlife proposes a selection of new content adapted to your profile and to your objectives! April 18 –> Let’s congratulate Medgo! 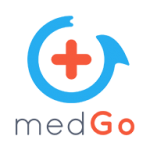 medGo is an innovative SaaS platform which aims at helping healthcare institutions manage replacements for their absent paramedical staff. With medGo, institutions send their replacement offerings via SMS to all known and available substitutes in seconds. medGo saves time for medical and administrative teams, helps reduce the use of temp agencies, and to retain trustworthy substitutes. April 17 –> Let’s congratulate Invivox! The Invivox.com platform connects physicians from all over the world to facilitate Peer 2 Peer Medical training (at the location of the expert). The partnership between Invivox and TC4A (Take Care For All) aims to set up “local training hubs” across Africa, India and Southeast Asia to enable local doctors to train with the best medical experts, for the ultimate benefit of the local population.